After 205km, the 104th edition of Scheldeprijs ended in a mass sprint. Marcel Kittel (Etixx- Quickstep) crossed the line first, ahead of our Mark Cavendish (Dimension Data for Qhubeka) with Andre Greipel (Lotto-Soudal) placing 3rd. 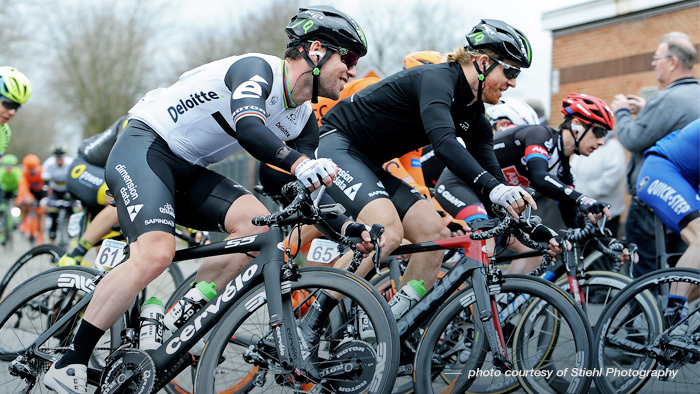 As a three-time winner of Scheldeprijs, Cavendish was the team’s protected rider for the day. Early in the race, six riders escaped, and Team Dimension Data for Qhubeka took control of the race. Tyler Farrar’s designated role was to shelter Cavendish during the race and deliver him to the finish line as the final leadout man. He executed according to plan, and Cavendish was perfectly placed within the last kilometer. The strongest man on the day proved to be Kittel, who beat Cavendish by a margin of 10cm. “I think we did a good job with that today. We lost [Mark] Renshaw with his crash, and I haven’t given Cav a real lead-out yet, so Cav was more comfortable coming off Kittel’s wheel. He just said, ‘try to shelter me on Kittel’s wheel as long as you can’. I made it to the kite. A photo-finish between Kittel and Cav, with Greipel third, they’re the titans of field sprints,” Farrar later mentioned to the media. View Farrar’s full ROTOR 2IN power file. 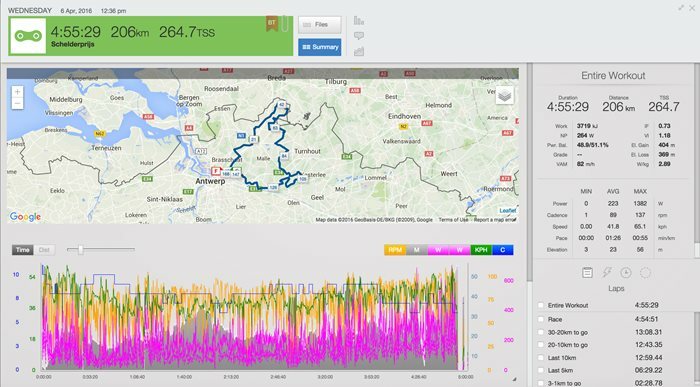 The final 30km of the race data offers interesting insights into Farrar’s pacing and tactics. From the 30-20km to go mark, Farrar spent a fair amount of time on the front during crucial sections on the course when it looked like crosswinds were going to split the race. Farrar’s average and normalized power were 302W and 329W, respectively. With 20-10km to go their teammates controlled the race at the front, keeping the pace high and ensuring Cavendish and Farrar was well positioned. During this period, Farrar tempered his effort in preparation for the final showdown. His Average and Normalized Power reduced to 291W and 307W, respectively. Within the final 10km Farrar did a stellar job keeping Cavendish out of the wind and honed in on the back wheel of Kittel’s wheel between the 3-1km to go mark. Farrar perfectly positioned Cavendish in the right position at the right time. His Average and Normalized Power in this final section increased to 327W and 386W respectively.